A critical piece to any small business is lead generation and marketing. You know you need to promote your local business, and we hope, by now, you have heard that you need to use some online marketing techniques if you want to help your business grow and really compete in today’s marketplace. Yes, you need to be online in addition to all the networking and advertising you are doing in your local area. You didn’t get to where you are now by making a lot of mistakes and poor choices, so it stands to reason that you probably want some answers to questions you have about why internet marketing is so important to your business’ success – and you probably wonder whether it’s even necessary. #1: You Need To Be Able To Compete. Let’s take a minute to pretend you own a nifty little bookstore with a café and coffee shop attached. You offer free Wi-Fi, and you do a pretty good business in coffee and pastries, but you’re wondering why the books you have for sale are gathering so much dust. People in your area are bombarded with great offers from sellers like Amazon and Barnes & Noble. By the time they find out you have the same great bestseller for sale as the big box retailers, and at a price that’s competitive, they’ve already bought the title. Worse, they’re bringing their new book into your shop and reading it while sipping a three dollar latte and feeling righteous for coming to your store instead of Starbucks. How do you compete? Internet Marketing. You get up on Facebook, you tweet, and you let people know what’s out there – you let them know that you are out there. You tell them, “Hey, for every five books you buy, you get a sixth one free – or you get a latte when you buy a book.” Something. Get them in the door and sell your product. How many empty storefronts are in your town? You want to drive business to local retailers, partly because you’re one of them, but partly because you want your city or town to be the kind of place where you, and other people want to live. You want your kids to go to a good school, you want the police and fire department to arrive on time for emergencies; you want a good life. How do you help your city thrive? You grow your business, and you pay more taxes (sorry – that really is part of the big picture!). You do what you can to make your community a nice place to be. Internet marketing helps you get a good share of local and global business, so you can continue enjoying life on your terms. The answer: online marketing. 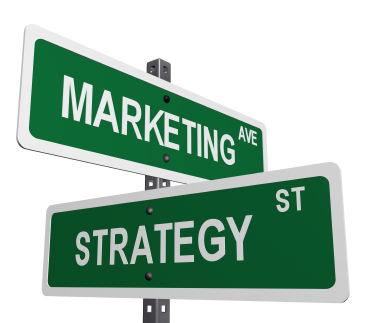 Hire a coach to help you create a marketing strategy that includes online marketing. Hire a marketing company that can help you be more profitable, hire people to do the work you’re slaving over now, and take a vacation, already. You’ve worked hard enough-you deserve it! Business can be promote locally using yellow pages,mobile billboard. I’ve joined our feed and sit up for in the hunt for more of your magnificent post.